Indore’s hot and humid climate is well known around the country (for the wrong reasons obviously). During the summer season, temperatures get considerably high, and humidity also increases to an extent that’s sometimes just unbearable. But that’s no reason to sit at home or your hotel in Indore and bore yourself during free time, right? A water park in Indore is the perfect place to visit as it allows you to beat the heat without having to appease the rain gods. With numerous water parks, residents as well as travellers in Indore get a huge respite from the scorching heat. Thus, we thought, we’d list down a few to help you out. 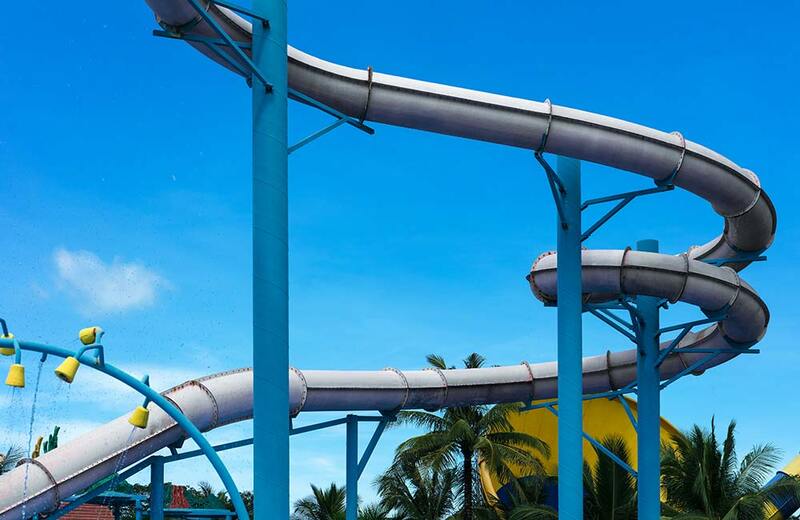 One of the most visited water parks in Indore, this one makes to the top of our list. It has some amazing rides, making it the perfect place to be with family and friends. Some of the rides are Caterpillar, Pendulum Slide, Wave Pool and Stacking Car. There are Merry Go Rounds, Mini Trains and other fun activities, most of which are focused on providing the unlimited fun to kids. On setting foot here, you’re sure to have a thrilling experience, leaving it with fond memories. 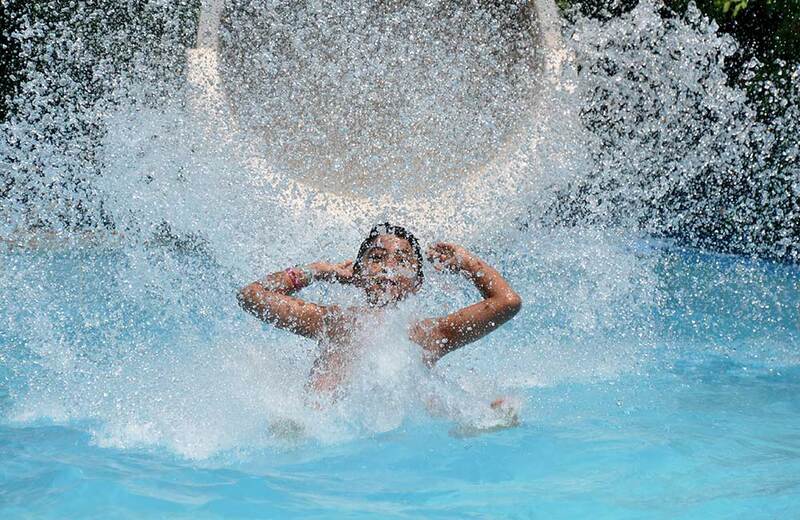 The oldest water park in Madhya Pradesh, Mayank Blue Water Park is a renowned name among locals, especially children. You can enjoy a sauna bath, or just relax in the pool here. 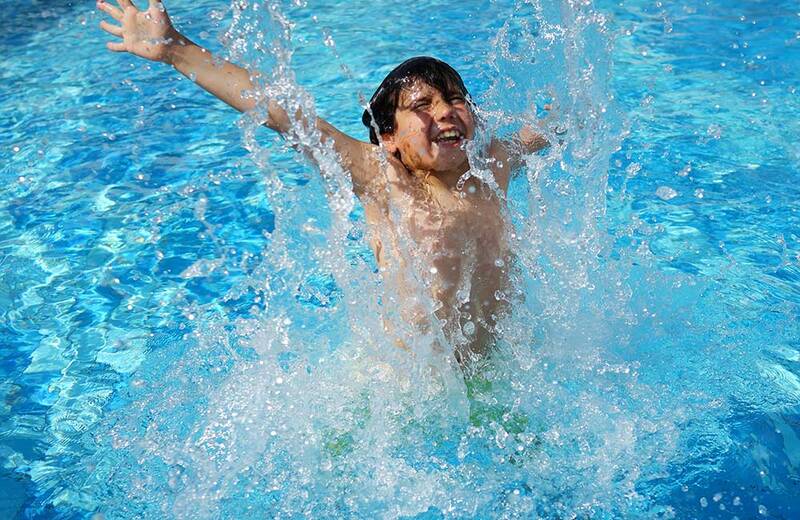 The water park provides visitors with a plethora of options to choose from. From a dance floor to a gaming arena and some of the most fun rides, the place has all that it takes to keep you occupied. Don’t miss the chance to get on the Lazy River and Wave Slides. During the summer months, the place organises regular pool parties and other events. Thus, make sure you keep yourself updated about what’s going on at the water park. If you’re lucky enough, you might just get a chance to attend a ‘cool’ pool party. To satiate your cravings after long sessions on slides and in pools, the place offers restaurants too. Established in 1990, Shell City is a full-fledged theme park that you shouldn’t miss. With some of the most exciting rides, such as Zipline, Splash Pool, Body Zorb, Giant Wheel and a lot more, the place keeps both kids and adults occupied throughout the day. 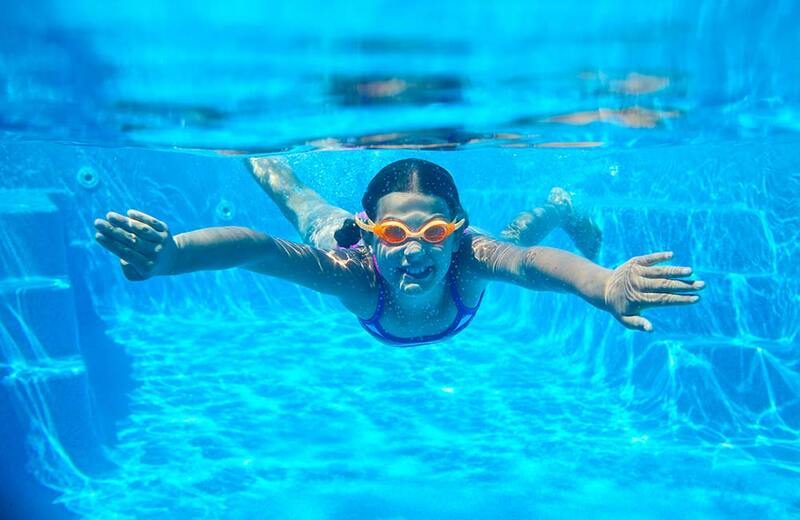 Apart from these, Shell City Water Park is also a local favourite due to a wide range of activities available. Tennis, volleyball and badminton courts can be your pick if you’re not too keen on getting yourself wet in pools or on slides. The place also has a video game arcade and a card game zone for you to have fun. With a dedicated Children’s Zone, you can let your kid have all the fun, while you indulge in your own preferences. You can choose from several packages, such as Royal, Class and Children’s package. Also, there are loads of restaurants at the site that serve Continental, Chinese and Indian delicacies. There are burgers, shakes, sandwiches, and a host of other lip-smacking snacks available. Spanning across a 28-acre area, Nakhrali Dhani Water Park is an ideal choice to experience Rajasthani culture, making it one of the most interesting destinations in Indore. A village-style setting allows you to indulge in a wide range of activities, such as bullock cart rides, camel rides, puppet shows, magic shows and dance performances. Ongoing events keep you occupied and give a glimpse of the rich Rajasthani culture and heritage. The food served is again traditional Rajasthani, with plenty of options for kids. The grand welcome at the entrance sets the tone for a long, fun and thrilling day. Overall, this is an excellent place for a day out as it combines whatever’s offered by usual water parks with Rajasthani culture. Satyam Water Park is an extremely well-known place among locals and travellers alike. Equipped with pools and water slides, Satyam water park, Indore relieves your stress, and allows you to relax and unwind. Consider this to be a picnic spot, or a place to hang out with your friends. Located at a distance of 5 km from Omkareshwar, this water park was built in 2005, and since then has managed to gather a lot of attention from all age groups. With plenty of rides and games, Satyam Water Park is worth a visit on your next trip to Indore. 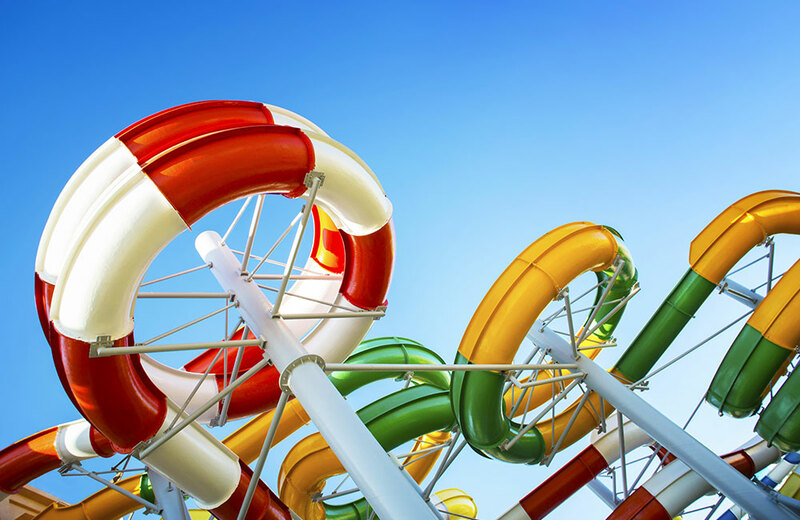 As aptly quoted by Hellen Keller, “Life is either a daring adventure or nothing.” Visiting these water parks will allow you to unwind even in Indore’s scorching heat. So take out your swimsuits, and beat the heat!